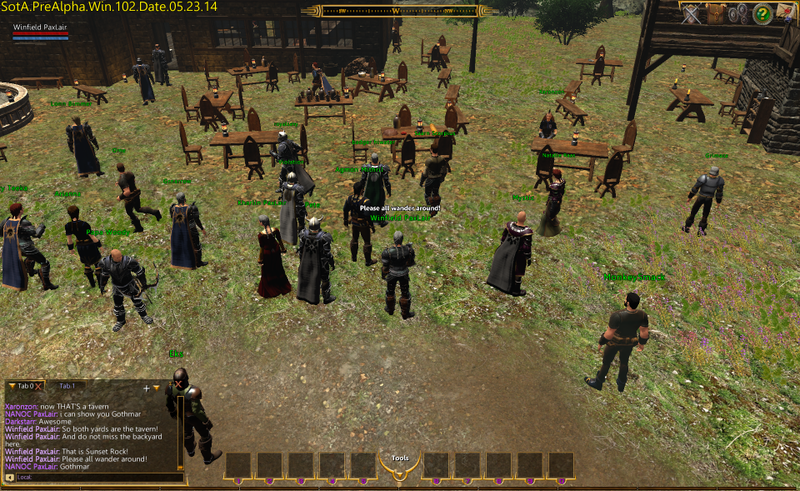 Discussion in 'Guild & Town Hall' started by Winfield, May 21, 2014. Aleister Aurum, OrionSnake, Mata and 18 others like this. Montaigne, Sean Silverfoot (PAX), Time Lord and 1 other person like this. We are building PaxLair Town in Valemark again! It's a great place with the circle meadows, sunset cliff, and winding paths. The R6 is about to open and we hope many people can join us! We plan to meet the neighbors so you may get several "friends" requests when you place your house in Valemark. Hope you don't mind! Also, listen to Avatars Radio as we will have some news spot announcements and who knows, maybe some interviews. And remember to visit the SotAWiki regularly! 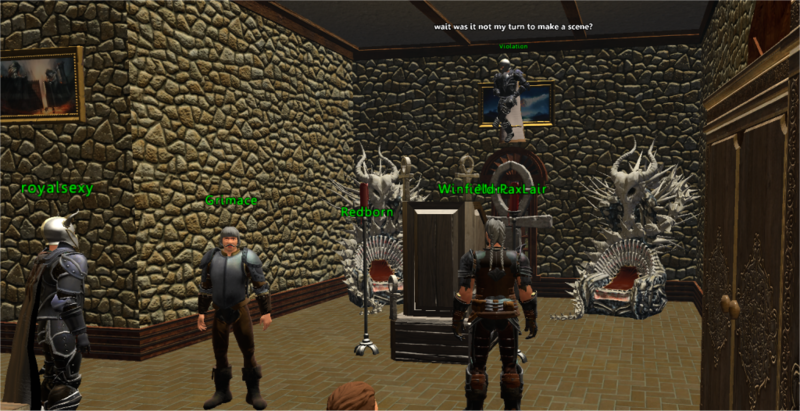 We are planning a Town meeting in PaxLair (Valemark) tonight (Thursday) at 8 PM Eastern U.S. Time (7 PM Austin Time). Everyone is invited to attend. We will talk about the town, meet the residents and visitors, see how our defenses and armory are shaping up, see what's happening on the economic front, and how the houses are coming along for a Tour being planned for Sunday night. So come out and meet us and we all want to meet you! By all means, please reply to this thread with any of your PaxLair experiences and ideas in R6. 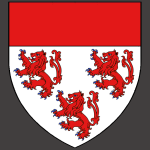 Remember, PaxLair is a town, not a guild. 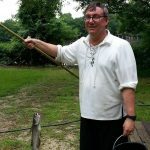 Anyone and everyone can be part of PaxLair! smack, Gabriel Nightshadow, rild and 4 others like this. Gabriel Nightshadow, Celestial Knight, Time Lord and 1 other person like this. Noctiflora, Keira Of CODB, The One and 3 others like this. Great! It's always good to know of friendly places to stop by during your travels! Noctiflora, rild, Time Lord and 1 other person like this. Thursday, May 22 at 8 PM ET (U.S.), 7 PM Central Time (Austin). It's a chance to meet people who like building communities. We will have a little speech, have several people talk about things, have some Q&A, and see who wants to show us their house! Some have been decorating a lot. Maybe we can even form up some teams for dungeon runs or wherever. As of right now, there are only 4 lots left in Valemark. I had a blast tonight. Thank you for the fun. Oh holttrot looks identical to valemark. Time Lord, Keira and The One like this. 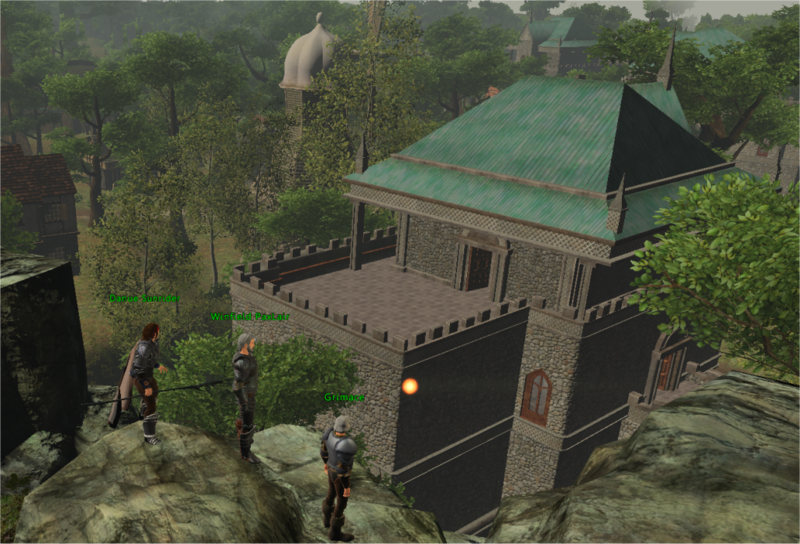 PaxLair Town, Valemark, New Britannia (PaxLair Times) – May 22, 2014 – Winfield – The first day of PaxLair in Release 6 was a great success. People started arriving in Valemark as soon as they could (when R6 opened at 11:30 ET U.S.). 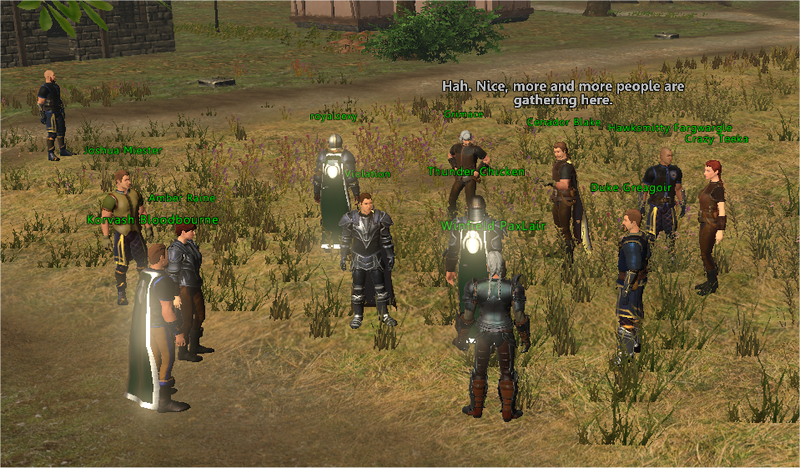 Word apparently spread fast across the realm as Lord British arrived within 30 minutes himself! 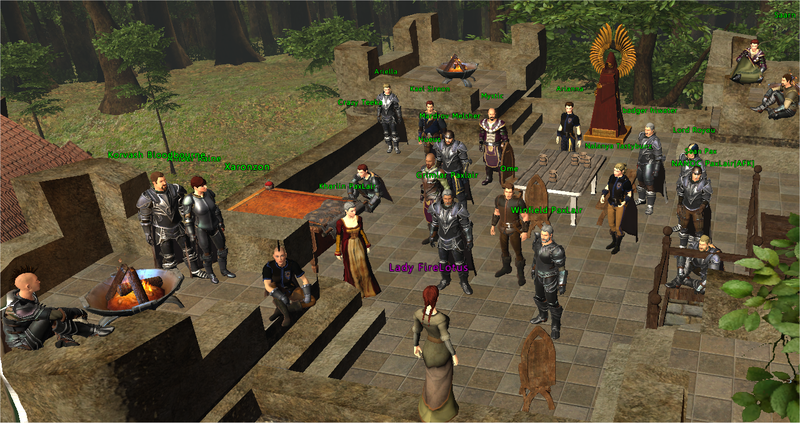 Lord British toured the upper meadow of Valemark where some of the old veterans of PaxLair were building their homes. 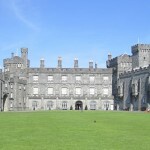 While he was there, others ventured to the middle meadow which is now being called the Nobles Meadow because of the large, ornate buildings and towers. Still more people came and looked for unoccupied house lots finding them in the forest circle near the Nobles meadow and the lower meadow. The lots went quickly and by nightfall (end of the day), the entire Valemark area was filled. Some people even gave up city lots in Owl's Head to build a home in PaxLair. 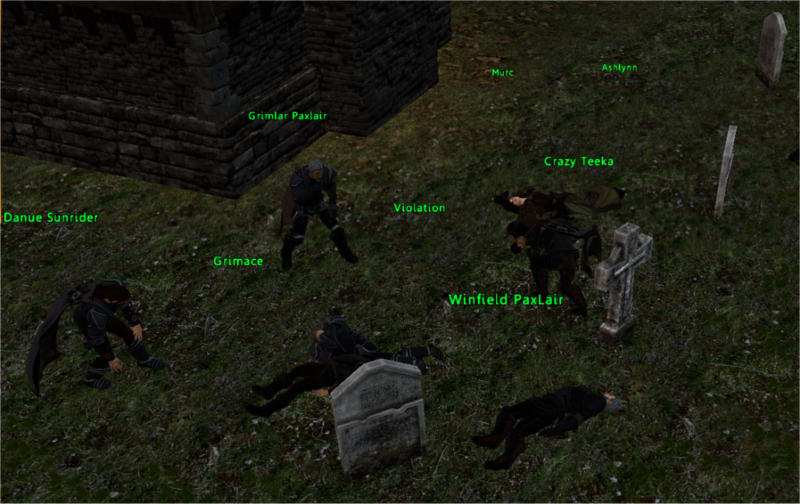 Governor Winfield, the leader of PaxLair, held a town meeting at 8 PM ET in the upper meadow. Many people arrived and this is what he said. Events are spontaneous throughout the weekend. There may be dungeon runs, crafting festivals, story telling, pub crawling, and town tours. People are encouraged to "friend" each other to stay in touch and listen to Avatars Radio for any spot announcements. There is also a message thread on the SotA Forums about Building PaxLair Town in R6 where everyone is welcome to make comments, ask questions, post images and thoughts. And of course SotA Wiki always has good information about New Britannia and current events. Time Lord, Aleister Aurum, smack and 3 others like this. Work on an assembly line to make lots of craft items. Bring your own crafting tools! Bring some resources if you can. Learn recipes from SotAWiki.net before arriving (will not be able to teach many recipes in the short time of this event). 12 PM Central US Time (Austin) - PaxLair Roundup!! MORE... we will probably have an evening event... listen to Avatars Radio for spot announcements! To be announced, figured out, may be impromptu, stay tuned! Time Lord, rild, Noctiflora and 1 other person like this. We visited The Bear Tavern last night. It was great fun! There was a LOT of dancing! And I learned more about The Bear Tavern. We will certainly visit again! Time Lord, Aleister Aurum, Burnden Park and 2 others like this. Time Lord, Aleister Aurum, OrionSnake and 7 others like this. 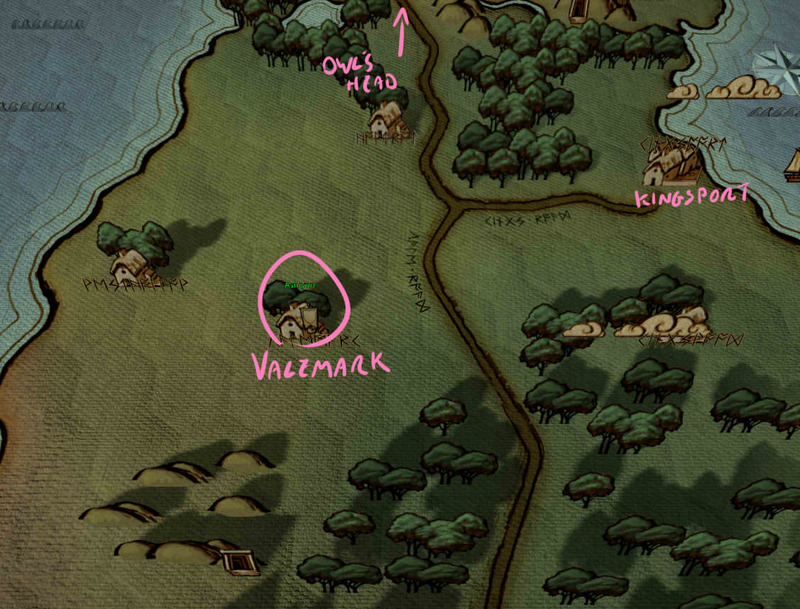 As R6 is drawing to a close, I surveyed Valemark and wrote down all the people who "lived" (had houses) there. 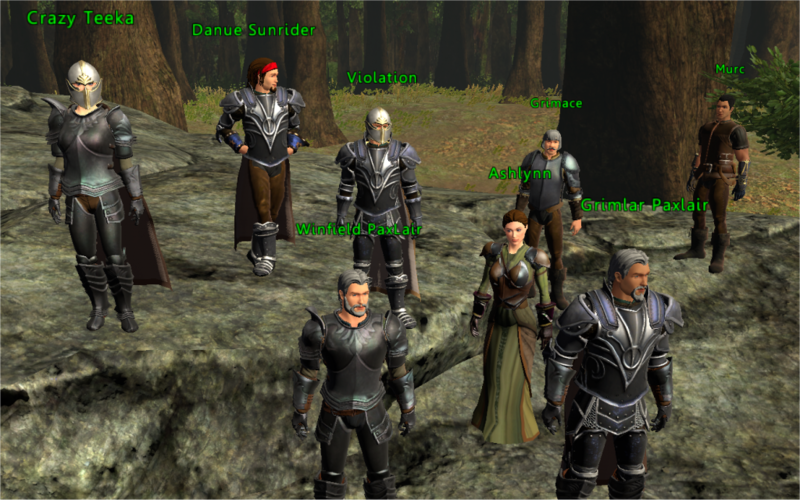 Not everyone were part of the PaxLair Town that we started in Valemark, but many were and participated in events and got to know each other better. Thanks to all who participated! We learned a lot. I also made an 11-minute video as I quickly went to each house, but it is not much of a tour. I will attempt to upload the video in a day or two (it's a 3 hour upload for me). Time Lord, Aleister Aurum, Sean Silverfoot (PAX) and 4 others like this. I believe "Duke Vulcano" is actually the proper spelling. Great catch! Thanks! I corrected it! Will fix that in the video too if I get the video produced. Time Lord, Sean Silverfoot (PAX) and NRaas like this. Although that new town mentioned in the last google hangout by Tracy Hickman is very intriguing! I am torn. I love pax lair it looks great. But shall I be with the bards? Idk only time will tell. I would like a place to place my chaos shrine. An underground sanctuary is required as well for me as I don't want goody doogooders ruining my good vibes. Linguistic conundrums abound within my words! irony is so great, as are metaphors! Similes are my favorite! No auto check! I ment favourite! ... I am torn. I love pax lair it looks great. But shall I be with the bards? Idk only time will tell. I would like a place to place my chaos shrine. I actually really like the fact there are more than one town that you (and others) may choose to live in! That is one of many elements that will make this New Britannia great -- so many choices on how and where to live! You are welcome in PaxLair as a resident or frequent traveler of course! Bring a song and we will gather 'round anytime. Make a shrine and we will venture to visit wherever you live. There's plenty of time to see how things go before the final release. Experimenting, trying new things, seeing what you like via the releases is a great adventure unto itself. Meeting more people along the way is the best thing too! Welcome! Time Lord and Noctiflora like this. Time Lord, Aleister Aurum, OrionSnake and 6 others like this. Time Lord, Sean Silverfoot (PAX), smack and 1 other person like this.